Oleochemistry is a growing field from an industrial point of view, and it is fundamental to more sustainable chemical production that is less dependent on fossil sources. From this point of view, the development of selective and efficient synthetic transformations of triglycerides and fatty acids and esters is an active research field. 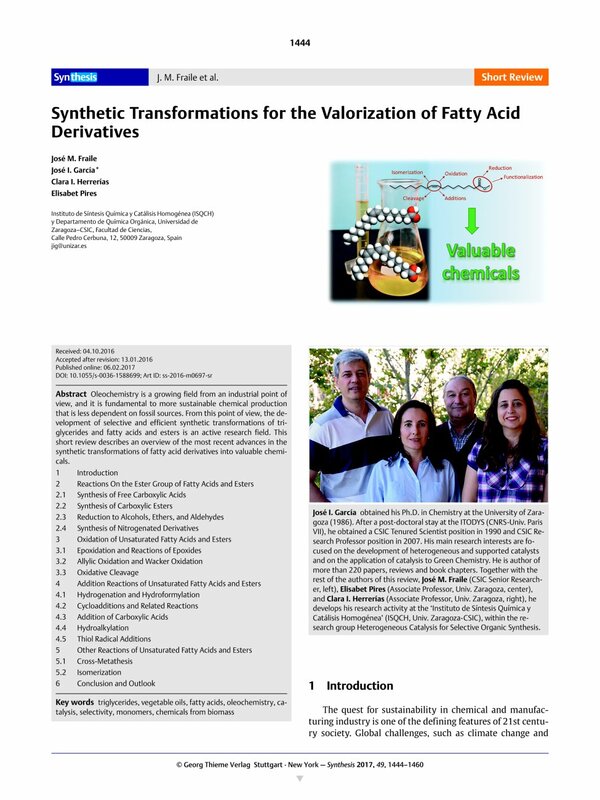 This short review describes an overview of the most recent advances in the synthetic transformations of fatty acid derivatives into valuable chemicals.